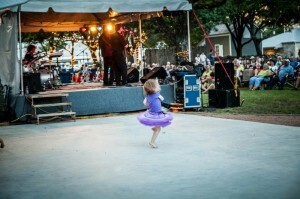 Bring your whole family to the Roots Music Series at the Pioneer Museum, 325 West Main in Fredericksburg, Texas! Listen to emerging and established artists at these live, outdoor concerts. Dance on the dance floor beside the stage and under the trees. Get comfortable in your favorite lawn chair under the Texas Hill Country stars. Dine on some of the best cooking in the county with a cold beer, wine, water or soft drinks for sale. Every month brings a different genre and menu. This month is “Country Music Night” featuring Mark Powell and Lariat at 6:30 pm and Bruce & Kelly Robison at 8:10 pm. All proceeds support the Mission of the Gillespie County Historical Society (GCHS). Gates open at 5 pm; music starts at 6:30 pm. $15 per person at the gate or $13 online. Kids under 18 are free.